Out of more than 100 riders who began the brutal Can-AM King of the Hammers UTV Race presented by HCR Racing, only 12 made it to the finish line. 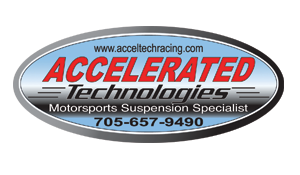 Three Maxxis-sponsored racers were among them: CJ Greaves finished fifth, his father Johnny Greaves finished seventh, and Kyle Anderson took ninth place. 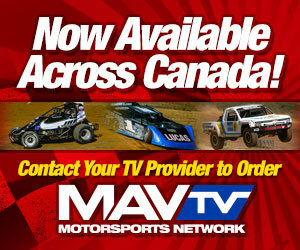 Although both have won multiple short course off-road championships, CJ and Johnny Greaves were rookies in the KOH UTV race. But riding Maxxis’ Roxxzilla tires, the two took an early lead heading into the first lap. CJ continued to hold the front spot, with Johnny in second place, for all 63 miles of the first lap. 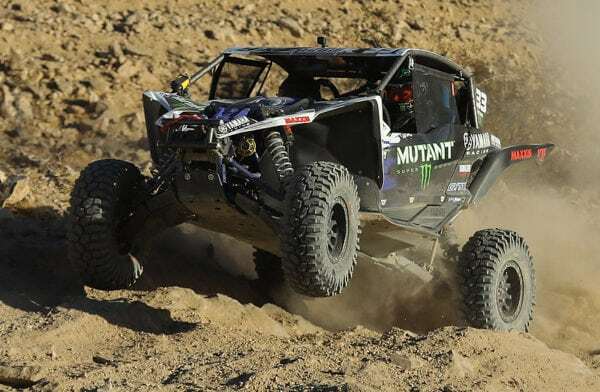 The rock crawling section proved to be a challenge for both Greaves, but along with Anderson, who rode Maxxis’ Liberty tires, they powered through the 70-mile second lap to cross the finish line. “We’re proud to see how well our tires held up under the test of King of the Hammers. 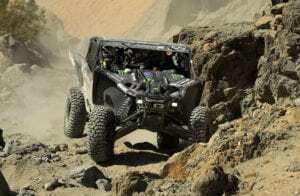 These results are solid proof that the Roxxzilla and the Liberty will perform even in the toughest conditions,” said Chris Meyer, marketing coordinator for Maxxis ATV and motorcycle products. After the race, Johnny Greaves reflected on the challenges of racing a different discipline. “The short course is 20 minutes, 110 percent all out. In this thing (Hammers), I had to talk myself out of being in race mode and [tell myself] to relax. It was tough for me. Every once in a while, I would see someone in my mirror, and I’d want to take off, and my co-driver would have to reign me in. It’s not a race against other competitors; it’s a race to bring the machine to the finish. You can’t imagine what’s out there and what we did. I can’t believe this car finished, to be honest”. Maxxis congratulates CJ Greaves, Johnny Greaves, and Kyle Anderson for finishing a race that defeats all but the most determined riders, and thanks them for proving once again the quality of Maxxis tires.